Concrete pavers are the hands down winner when it comes to creating one of a kind beautiful driveways and patios in Denver. They also don’t crack, they’re low maintenance, and they last for generations, not just years. Concrete Pavers are perfect for residential and commercial driveways, patios parking lots,sidewalks, patios and streets. Pavers have a non skid surface and this is especially important during the winter months in Denver. You can have a one of a kind driveway with concrete pavers. You can select a beautiful contrasting paver border to go around your new driveway or patio. You can also select another color for paver bands in a different texture running through the center of your driveway or patio. They come in many different styles and there are beautiful earth tones colors that work with our beautiful mountain views. These pavers will blend perfectly into your landscaping and outdoor living areas in Denver. The natural beauty of concrete pavers will add value to your property. They can give you the kind of flexibility that’s simply not possible with stamped concrete. Concrete cracks and needs a lot of maintenance. Concrete pavers never need to be sealed. Concrete pavers are manufactured in steel molds to exacting standards and are many times stronger than stamped concrete and much more durable than asphalt. Like all pavers they are interlocking, allowing for expansion and contraction in our soils full of bentonite. You’ll never have to look at all the surface cracks like you see with stamped concrete. The joints between pavers allow for small amounts of movement that stops heaving and cracking. 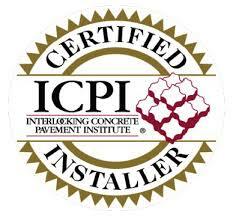 Concrete pavers pavers have a compressive strength of up to 8000 PSI the same PSI of many natural stones. Pavers are the hands down winner when it comes to maintenance. You can handle tough stains with pressure washing with paver cleaning solutions and a brush. Pavers can easily be repaired by lifting the affected area and relaying the same pavers. Stamped concrete and poured concrete will leave unsightly repair patches. 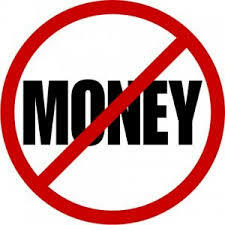 Pavers can be easily removed and replaced for utility repairs. Cracking during cold Colorado winters is common with poured concrete and stamped concrete. Because pavers interlock together to create a flexible system that allows for movement, frost freeze cycles are not a problem. 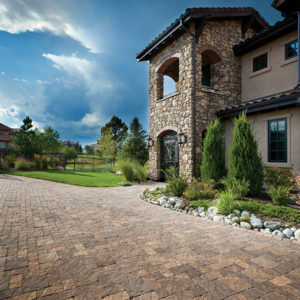 Pavers also move with the earth’s tendency to swell and contract during the winter in Denver. The bevelled edges of pavers prevent plows or shovels from catching on the edges. De-icing products like calcium chloride or salt won’t harm pavers. 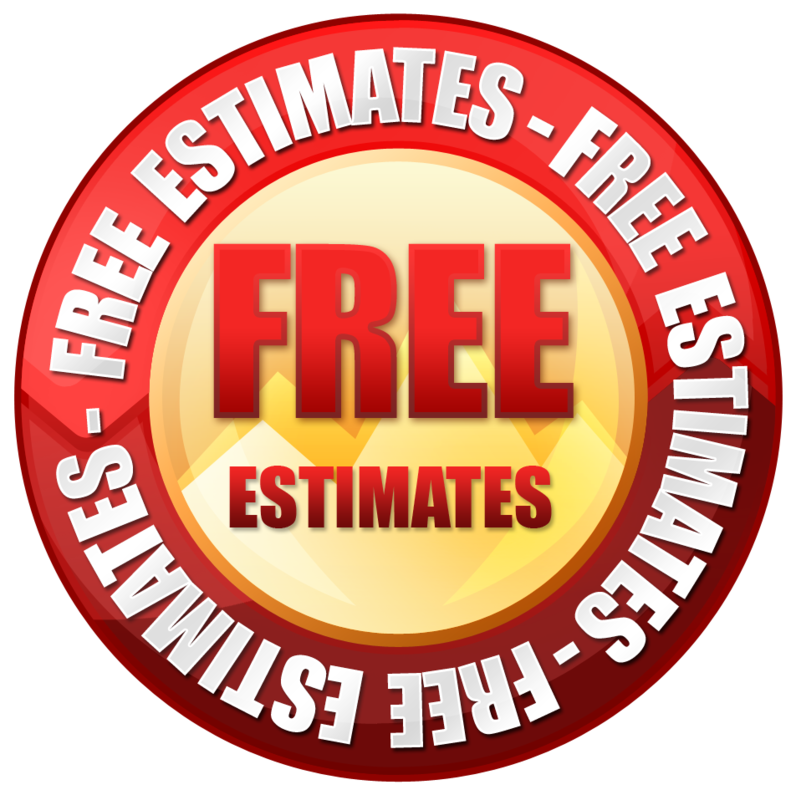 We also ca install electric or liquid snow melting systems under concrete pavers, which eliminates the hassle and expense of snow removal. Stone Creek Hardscapes uses Pavestone Pavers, Borgert pavers and Belgard pavers. So use your imagination! You can choose form a large selection of colors, textures and patterns. Make sure you a look at our Paver Driveways and Paver Patio Gallery’s to see the paver patterns and colors available to you.